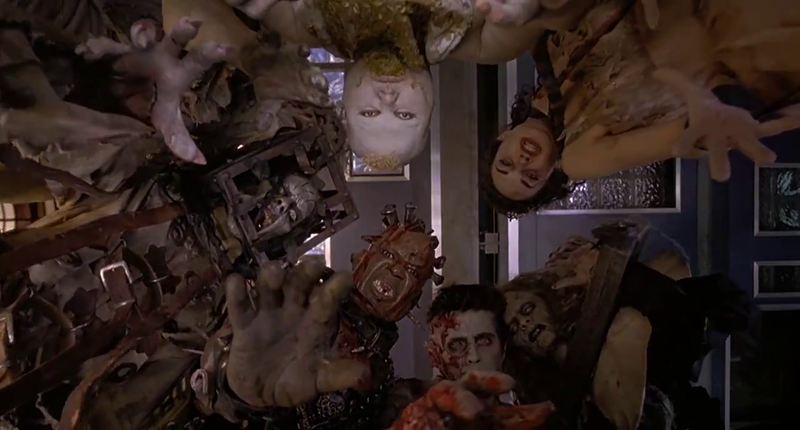 Get to Know All ’13 Ghosts’ with this Background Look at Every Ghost in the Movie! The original 13 Ghosts was a goofy little picture that doesn’t exactly stand as one of William Castle’s finest flicks. But it made for enough fun to warrant a 2001 remake that while a bit on the silly side, does prove to be an entertaining film. But the deeply fanatical have always had one big question: What the hell kind of people were these ghosts before they were ghosts? One of the bonus featurettes on the 13 Ghosts DVD actually breaks it all down. So if you just had to know what crawled up The Jackal’s rear, you can now get your answer. Watch this awesome little video below. If you actually haven’t seen the film, well, it gets a recommendation. It’s a bit of a brainless flick, but it sports some slick special effects and amazing makeup work. Look into it!